A while ago, some readers asked for a comparison of some of the DACs I had reviewed to the popular TC-7520 DAC. I wasn’t very familiar with the Beresford TC-7520 DAC at that time, but Jeff Tomerlin at Beresford was kind enough to send me a sample unit for review purposes. The TC-7520 DAC is designed in England and the circuit design is flexible enough to allow quite a degree of customization and upgrades. Among the components that is upgradeable is the actual D/A chip, as well as the opamp for the analog stage. 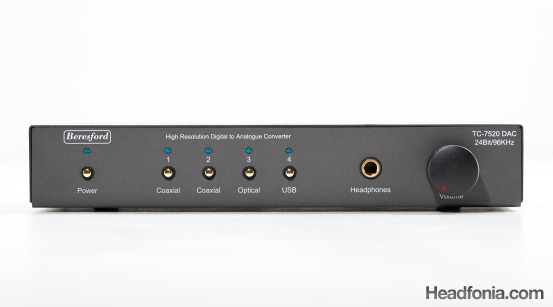 The stock unit that is used in this review costs $279, and yet I’ve find it to be good enough to bridge the gap between the $100+ DACs and the $300+ DACs. Previously, I’ve had many popular DACs such as the Audinst HUD-MX1 and the HRT Music Streamer II that occupy the popular $100+ price range. From there, the choice jumps to the $300+ range like the Cambridge DacMagic, Dr. DAC 2 DX, and the HRT Music Streamer II+, yet nothing really at the $200+ price level. Not only is the TC-7520 DAC unique in terms of pricing, I also find it to be a highly versatile product that offers both coaxial and toslink S/PDIF digital inputs as well as a USB digital input. In comparison, the HRT Music Streamer II+ which I enjoy very much is limited only to one USB input, and sometimes I find its limitation to be quite an annoyance whenever I want to use the Onkyo Ipod Transport that only accomodates S/PDIF connection. 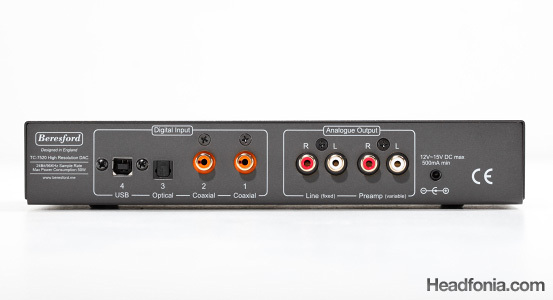 Having an abundance of digital input is very useful as it allows the TC-7520 DAC to be connected to up to four sources simultaneously. For instance, I can hook up my CEC CD Player, my Onkyo Ipod Dock, and my Acer Aspire laptop all into the TC-7520, and choosing between the four sources via the input selector buttons on the front faceplate. Another convenience feature of the TC-7520 is that it comes with two pairs of analog outs, one with a fixed output level and another with a variable level that’s controlled by the volume knob. The variable level analog out should allow the TC-7520 to be hooked up directly to a power amplifier, although I wasn’t able to test out that feature for this review. However, I did use the TC-7520 to feed two headphone amplifiers simultaneously via the two analog outs, and that’s a big convenience when I want to switch around different headphone set ups quickly without having to mess with interconnects. The TC-7520 seems to be designed to be a one device solution to a lot of different needs, offering the abundance of connectivity features, as well as a built in headphone amplifier. On the other side, we have a minimalistic device like the HRT Music Streamers which only takes USB signal and convert it to a pair of analog out. 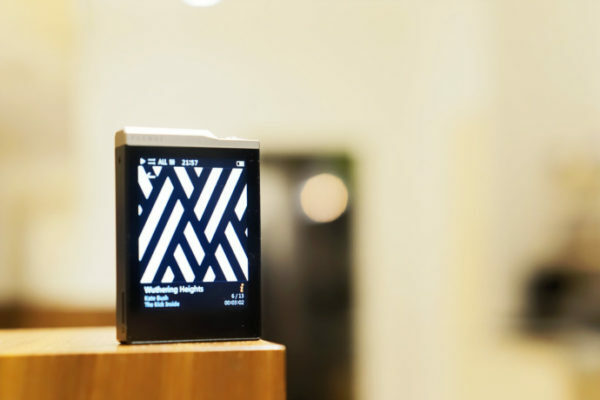 Different philosophies to product design, and both can be just as good depending on the need. hmm… looks good. Very nice and objective review (if you could ever say 'objective' about some review). The DAC itself seems to be very good unit, but those 'upgrades' are not. op amp change for that high amount of money is beyond my limits of acceptance, hehe. Also the size is rather big. Definitely not for me. BTW: Did you have any experience with Styleaudio Ruby2? Seems to be priced closely to the Dr. DAC2 DX and Matrix Mini-i though I can not find many reviews and opinions. Nope, Professor. Haven't tried the Ruby2. Last time I checked with Styleaudio, they haven't replied to their emails for a while. Those op-amps prices are way out there buddy, considering better can be had for less… even free. Also in your upgrade path are there any specific reason why you chose WM8716 over WM8741, when WM8741 is a superior DAC chip used in Gamma 2 and can be had for a mere 13 bucks at Mouser. The OpAmps seem a bit high, but on the other hand that includes them installing all of the upgrades with warranty included. 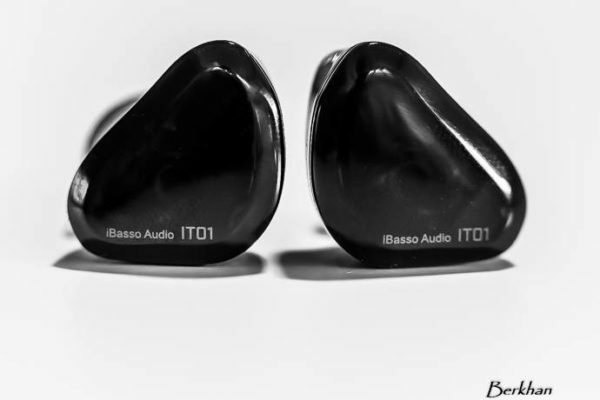 The top upgrade is called the Caiman model and has some very high praise for it’s sound quality. I have tried the Music Streamer 2 and although sound quality was great, I did not find the additional cost to be worth the very slight increase if any, compared to my intergrated soundcard. I hear all the musical detail and quality that I could ever want directly from my P.C. Of course the digital amps I’m using to feed my passive speakers help with this a great deal, giving me no need for another DAC! Still I can easily see how the Music Streamers would be and attractive option for someone who can use one. 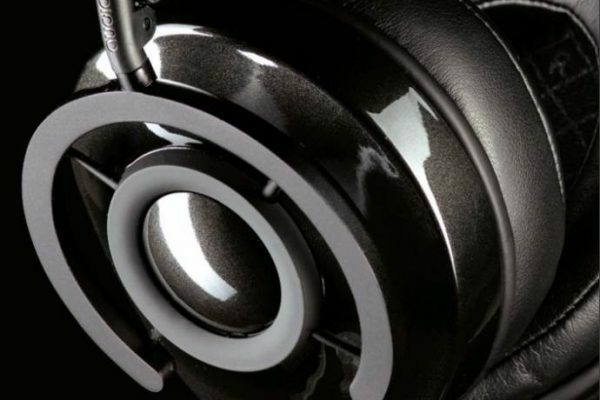 With it’s sound quality, ease of use and low cost, it’s a no brainer! Hi Jim, I'm surprised that you find the MS2 to be a "very slight increase if any, compared to my intergrated soundcard." Otherwise, thanks for writing! Mike, how would you describe the quality of the Bresford built in headphone amp? Was considering pulling the trigger on either the matrix mini-i or MS2/m-stage when i came across your review. I will be using this setup to drive a pair of grado 225i headphones. I guess I'm looking for something a bit warm, laid back with larger sound stage to balance out the 225i. It sounds like I'm trying to change the original sound of the Grados but I really love it. Just needs some refinement to it. Thanks for all the great reviews. Tons of great information here! I would rather recommend the headphone outs out of the Dr. DAC2 DX or the Matrix Mini-i. The Beresford's headphone out is a bit weak in my experience. The Dr. DAC2 DX even comes with op-amp rolling capability, so that should be a lot of fun. Unlike the Mini-i and the Beresford, the opamp on the Dr. DAC2 DX is installed in a socket. So you can buy some op-amps on ebay, open the casing, and replace it yourself. Interesting that I also have both the Aspire one and Onkyo dock you used for this test, Mike. One thing I noticed when connecting a DAC to the dock is its more neutral sounding with better and tighter bass while Aspire One with Win7 was really bright (much more neutral with win XP but still below Onkyo when it comes to neutrality). .Sup, interesting. I use the linux version of the acer, and I've upgraded the stock Linpus distribution to Ubuntu netbook version. With the ALPA player, the fidelity is better than the Onkyo Dock. Definitely not bright, and on the contrary I'm getting more weight on the music. My only problem is reliability. The ALPA player is not very stable, and sometimes the data transfer has hiccups. Interesting for me as well. Are you using any usb>spdif converter Mike? If you still have the Audinst around, it’s one of the best USB -> SPDIF adapters. It’s just a bonus function, but it has it. It has the same chip as the $70 Teralink box. Thanks for the info, zsero. I have a Beresford 7520, but I'm not able to use it with my iPhone. Do I need an iPhone docking station and then I can connect the docking station to the Beresford 7520 ??? Any thoughts on how this stacks up against Burson HA160D or other higher-end units? better offerings for similar price. what are the better offerings out there? What DAC is Best for SoundQuality (not headphone out), Matrix Mini-i, Beresford TC-7520 or Beresford Caiman? The Matrix Mini and the Beresford 7520 are about the same, and I’ve never auditioned the caimans so I cant say. I have an O2 amp. How do I ensure that when I use this dac, that the O2 is being used and not the built in amp in the beresford? Hook up the O2 to the RCA analog out on the back. That should ensure you’re using the O2’s amp.